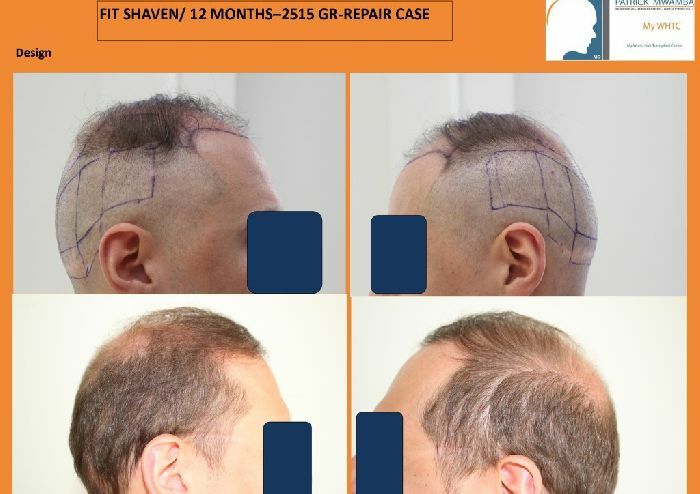 The patient came to us anxious about his options .He had two strip surgeries in the past with very poor growth. Even though with a camouflage combing, he was unable to hide his problem. 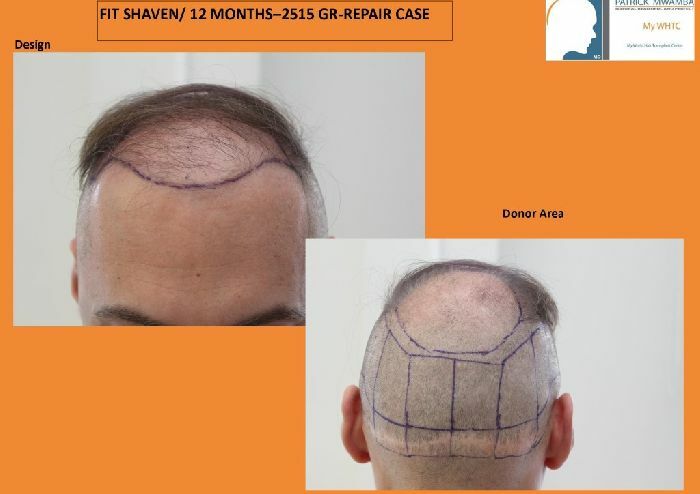 He was Norwood 6 to 7, with a poor donor area (under 60 fu/cm2 on average) , thin and straight hairs . He also had dermatitis on his scalp: brown crust on his scalp + erythema (redness of the skin). We decided to treat him first with LED light + Neobacitracine . After one month of treatment, the lesions (crusts and erythema) disappeared. 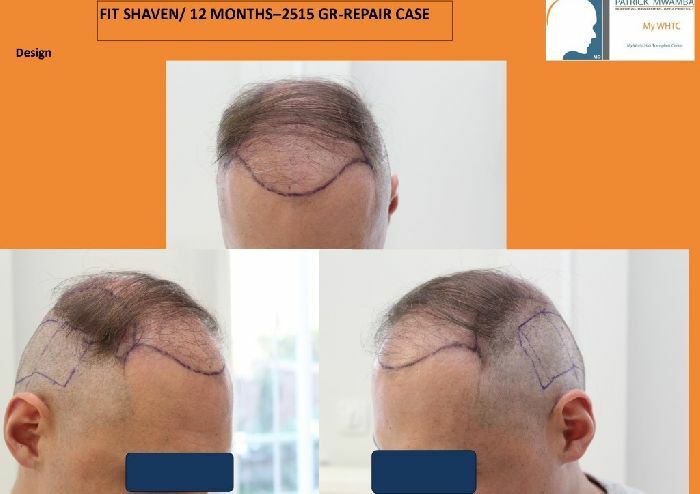 We decided to go for the surgery: broad coverage at low density with the FUE by FIT shaven technique. 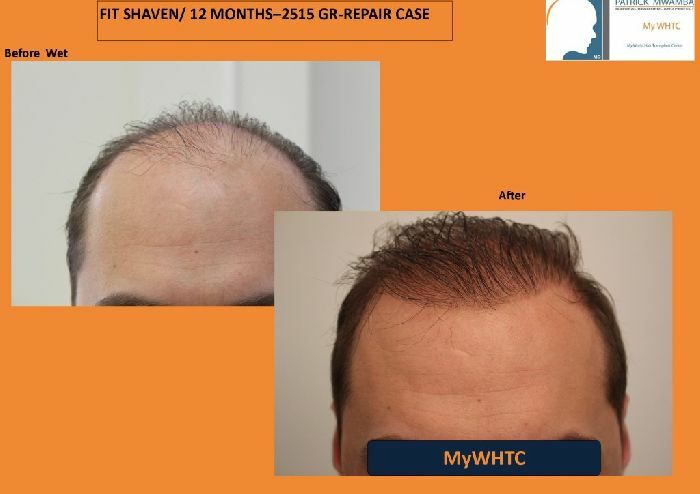 Results after one year brought back hope and joy in his life. Little things can lead to huge transformation in someone life. 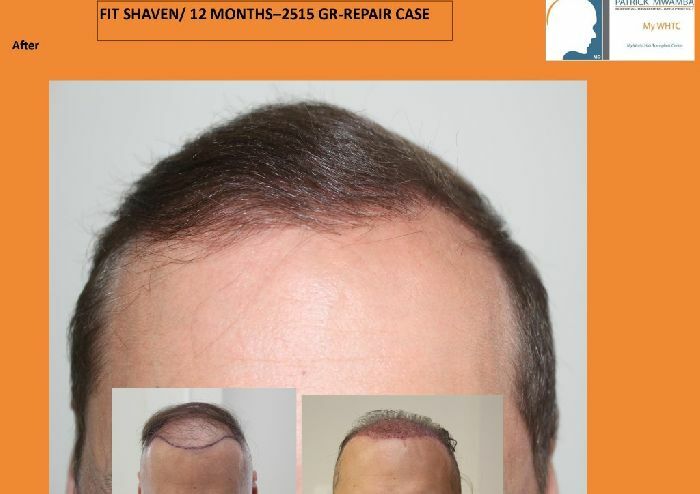 After observing the preoperative photos, it’s apparent that the frontal scalp had no definition and poor symmetrical value to offer the patient’s facial features prior to the FUE by FIT session. 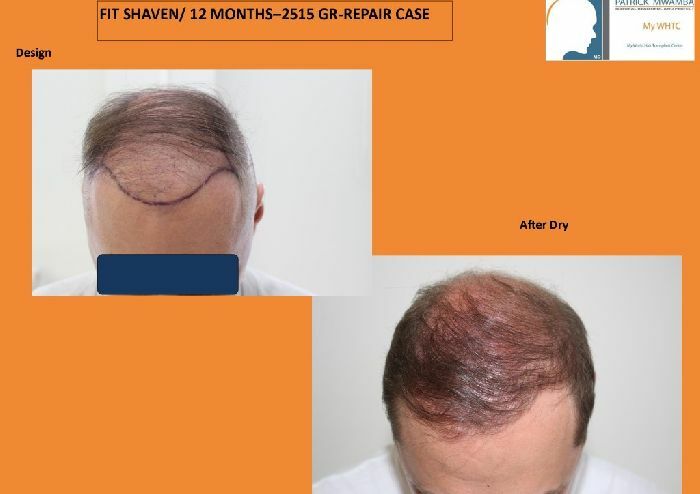 It comes as no secret that this patient would prefer to avoid the chance of more significant scarring from another strip procedure. 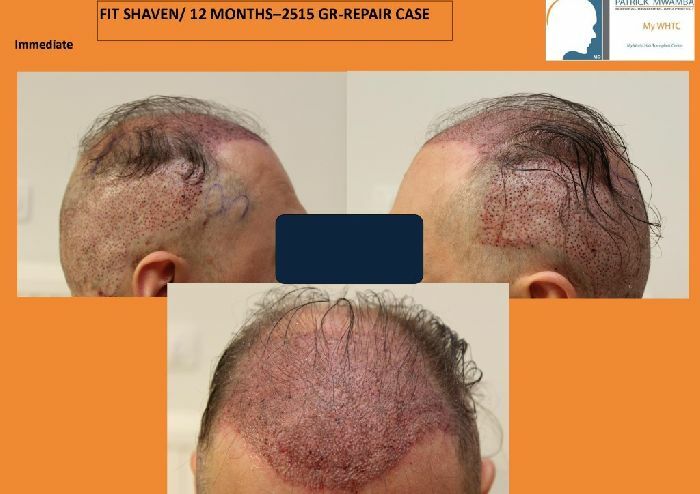 The previous clinic may have likely attempted to sell this patient another unsightly linear scar to further complicate a bad situation. A shocking loss is how most individuals would view the disposition. 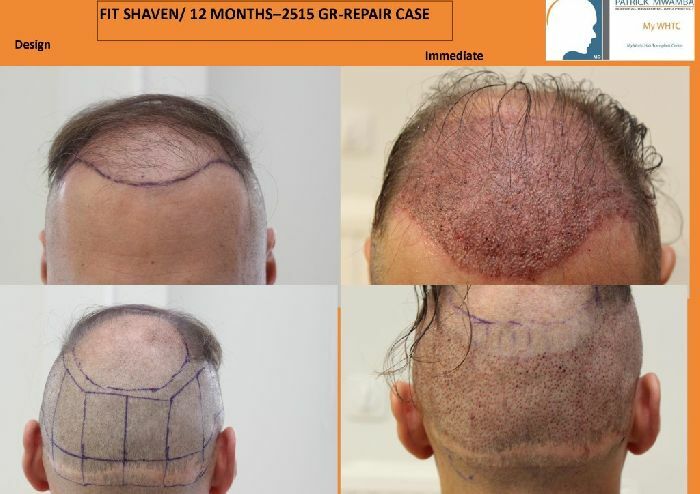 To see a hair loss sufferer witness the loss of their precious donor hair follicles always comes as a shock. 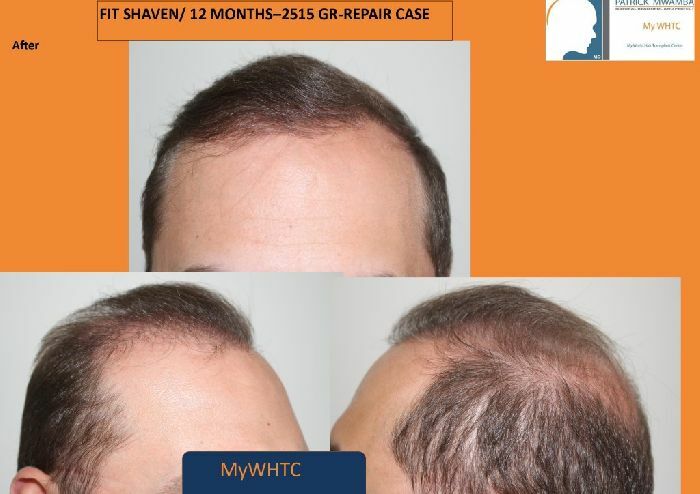 The yield from the 2,515-graft FUE by FIT hair transplant procedure was notably more effective than the procedure previously performed at another clinic. This is an acceptable result with regard to the nature of repair. 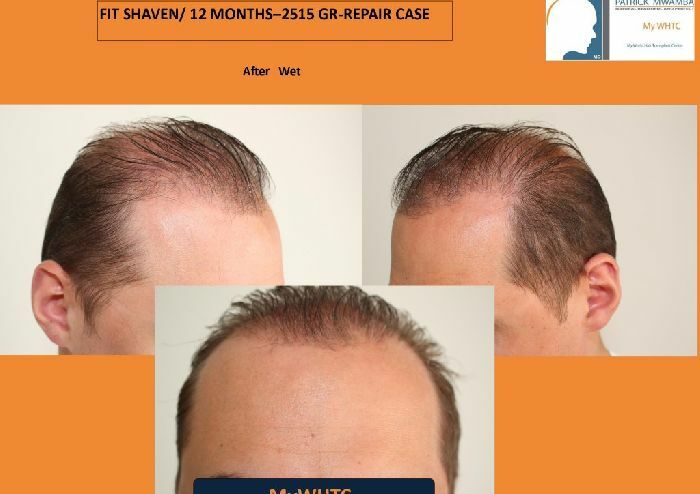 As of now, the patient’s investment of time, trust, and financial resources were worth the achieved aesthetic improvement. 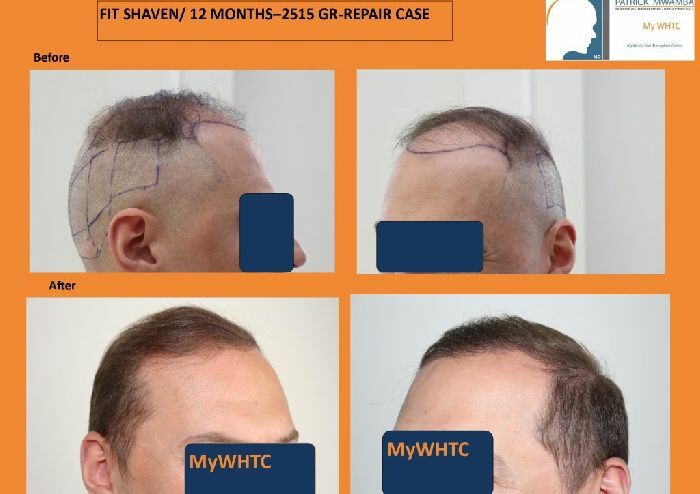 By utilizing unquestionable ethics and uncompromisable compassion, Dr. Patrick Mwamba’s surgical staff continually afford unique hair loss treatments for each individual patient at MyWHTC hair restoration clinic. Difficult case and that’s a good result under the circumstances. I’m surprised he didn’t go for more coverage using beard hair. I believe that the patient will go for additional coverage. We’d like to think that the patient wants the benefit of more density from the remaining options.